We seek to achieve superior results as property managers with quality, honesty, integrity, and trust. Our mission is to meet the various needs of owners while providing safe and quality housing that meets the expectation of our residents. Our values, responsiveness, and attention to detail all play a part in delivering our mission. Our vision is to build relationships and provide high quality service that is unmatched by our competitors. The direct result of our exceptional management team is the primary cause for our growth and development. Together we strive for excellence to ensure the success of our client, the well-being of our properties, and the future of promising prospects by creating and delivering a PREMIER service, which is unique and valuable. Our residential division is dedicated to maximizing the return on investment for our clients while upholding quality housing opportunities for prominent residents. The Real Estate Property Management Associates are licensed and specialized in managing all aspects of residential properties. Our commitment is to create a unique service to meet your needs and deliver service as efficiently and effectively as possible. Our portfolio consists of many types of residential homes which offer affordability and variability. 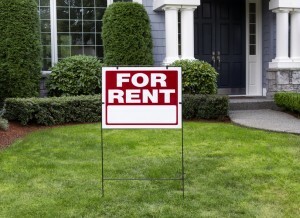 Please check our current Rental Listings. Upon finding a home that best matches your specifications, get started by selecting the link of our Online Rental Application to begin the approval process. Leasing with Premier is simple and offers the ability to accept deposits and monthly rent payments online. Contact us today to schedule a viewing of our properties.